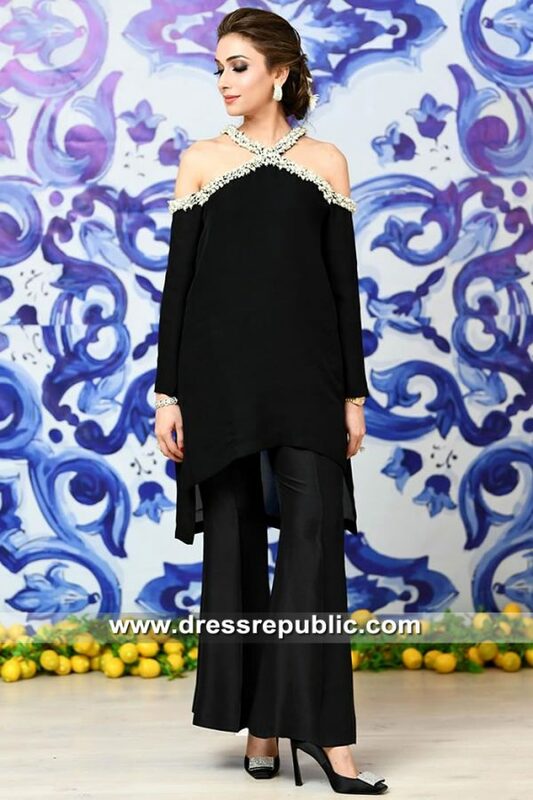 Top: Black Charmeuse silk blouse has heavy crystals and sequins shower on front. Turtle neck. Hidden zipper on back. Fully lined. Piping edges finish. 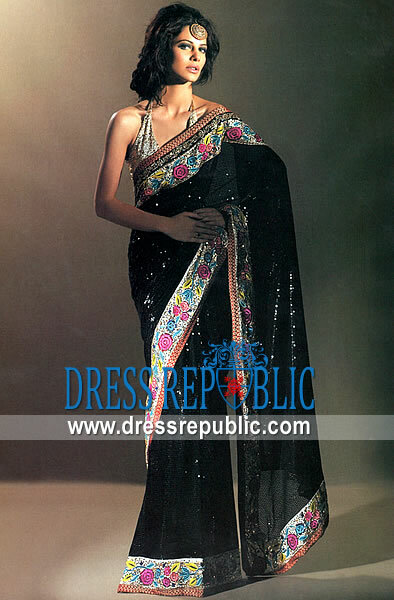 Saree: Black chiffon Saree has floral border on hemline with even heavier and wide border on pallu. The rest area has sequins sprinkles all over. Piping edges finish. Comes with a petticoat. 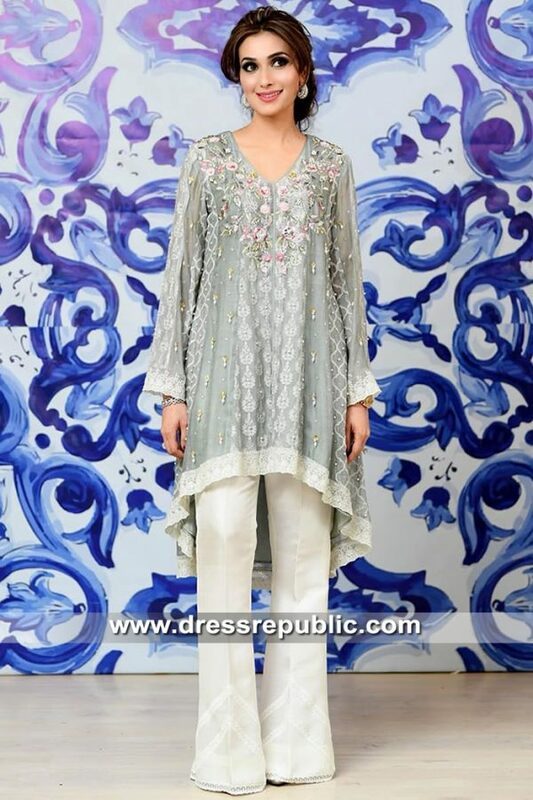 Draped and stitched with belt so you can wear it just like a trousers. Embellishments made sequins, beads, Swarovski crystals, diamantes, kora and pearls. 100% natural pure fabrics. Fully handmade embellishments. 100% same as shown. Hemming finish.